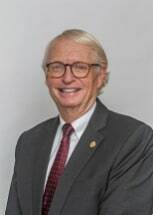 Wayne R. Kramer has over 38 years of experience in his practice areas of Tax, Real Estate, Estate Planning, Administration and Trusts, and Corporate and Transactional. He represents individuals as well as a wide variety of small businesses and large companies. Mr. Kramer has a sound understanding of the law and is problem solver. He searches for "common ground" between parties in conflict and finds the counseling aspect of law to be the most rewarding. He has provided guidance to individuals, small businesses, and large companies through difficult times as well as in periods of growth and prosperity. Mr. Kramer recently successfully completed a transaction where the co-owner of a small, closely held business needed significant assistance in the sale of his business interest in that entity to the remaining owners. The relationships among the parties were longstanding, and the nuances of completing the transaction, both from a legal and human relationship standpoint, were significant. He also recently handled a complex business transaction where two co-owners of a business sold their interest to a major company. Again, not only were there legal "hoops" through which the parties needed to move, but the transaction also involved emotion and the difficulties which often arise in the sale of a business which often rise in the sale of a business which has been developed through years of hard work. Resolving similar complex issues among families in Estate Administration matters has been a significant part of Mr. Kramer's practice as well. He has also successfully represented clients in a number of tax cases, some of which are identified above.